We are excited to partner with ADLINK and unify these two solutions that will allow customers to benefit from an easy-to-use, all-in-one hardware and software package. ADLINK Technology, a global leader in Edge Computing, is teaming with Lenovo to expand ADLINK’s reach into the IoT marketplace while enhancing Lenovo’s integrated hardware/software solution offerings. Through this new partnership, Lenovo’s OEM Solutions business will expand its portfolio of products with ADLINK-provided embedded PC solutions and services. ADLINK offers a variety of technology building blocks and market-specific IoT platforms to serve various industry use cases. Lenovo, through its OEM Solutions business, offers a full portfolio of hardware products and allows OEM customers to leverage custom solutions and worldwide services from development to deployment. By collaborating, the two companies have bundled offerings that solve critical IoT issues by utilizing the best-in-breed solutions from two industry leaders. These integrated systems will provide customers with a more seamless integration of consumer and industrial building blocks and make it easier for OEM companies to design and innovate new products. 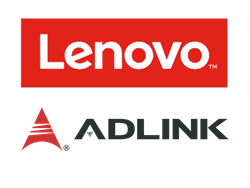 With the Lenovo partnership, ADLINK continues to add to its eco-system of industry leading technology partners. The companies are currently focused on the Americas and China markets, with plans to roll-out the pre-integrated hardware/software solutions in additional regions by the end of the year. For more information on ADLINK’s product portfolio, please visit http://www.adlinktech.com. Businesses around the world trust Lenovo, a global, public company with revenues of over $45B, for their Information Technology needs. Lenovo is among the top three manufacturers of IT products from mobile to desktop to data center and is acclaimed for innovation, quality, reliability, supply chain, and customer satisfaction. With years of experience serving OEMs, Lenovo understands what’s important to you. Choose Lenovo OEM Solutions and stake your reputation on our award-winning portfolio, our global presence, and our record as an industry leader.